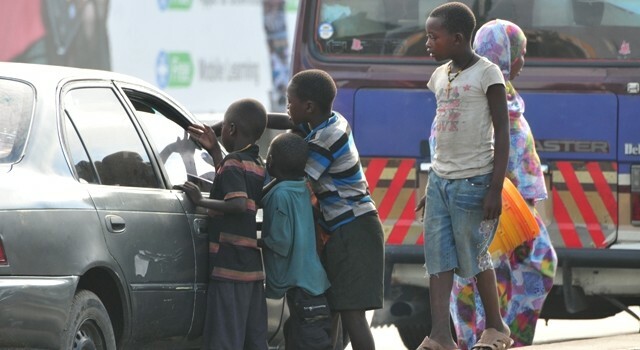 KAMPALA: The Ministry of Gender, Labour and Social Development has revealed that they are working on a law that would criminalise the giving of money to street children. Speaking to media at the Ministry’s offices, the Minister of State for Youth and Children Affairs, Florence Nakiwala Kiyingi said that the ministry had found that begging had been commercialised. “The commercialization of begging, which includes trafficking of children from Karamoja to beg on the urban streets for personal benefits, still remains a big hindrance to realizing the intended results in the handling of street children. There are adults who live off the money collected by the children,” she noted. She thus called up on the public to desist from giving handouts to street children. “Although at face value, such assistance helps the children to meet some basic needs, it has proved to be the most important in exacerbating the problem by reinforcing the factors that pull children to the streets. Arising from the above, the Task Force on Street Children has resolved as follows: KCCA working with Police will immediately launch an operation to withdraw children from the streets and maintain permanent presence on the streets to manage new cases. Meanwhile, Nakiwala further added that her Ministry has noted with great concern, the proliferation of illegal children homes, most of which have been involved in abuse of children rights for selfish gain. “A number of them are conduits for child trafficking, while others have turned into business enterprises to siphon money from unsuspecting and well-meaning donors at the expense of the Ugandan children. Our recent survey has revealed that only 70 Children Homes across the Country are operating with valid licences, while 569 Children Homes are operating illegally. She thus ordered the illegal homes to close by 30 June.